Many thanks for this picture, kindly provided by the very happy client. 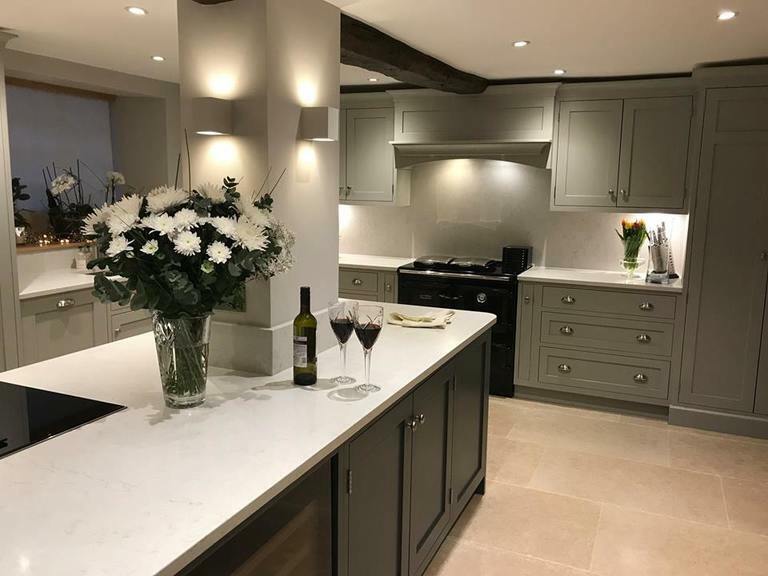 We thoroughly enjoyed working on a full kitchen refurbishment at a lovely cottage on the outskirts of Northampton recently. Working in older buildings can present challenges, with difficult angles and out-dated wiring. We think the results of this project are spectacular! Start to plan your lighting requirements as soon as possible, based on how you will use each space. You can also create some very interesting effects with well-placed lighting, so it’s worth giving this some thought at the planning stage too. Think about the position of your power points. While it’s nice to position them discreetly in corners, think about how you will use your kitchen appliances – large and small. If you’re working to a budget it’s still worth including the cabling for any future additions that you might like – it can be really expensive to do this later on. We recently had a close call with one of our domestic customers. We discovered a cable that had been hit by a nail during an installation in the 1960s. The damage wasn’t discovered until an immersion heater tank began to leak and cause tripping problems. The trip was part of a very old system and the damaged cable became hot. A modern 30mA residual current device (RCD) would have given warning of this problem, before the cable became so hot. 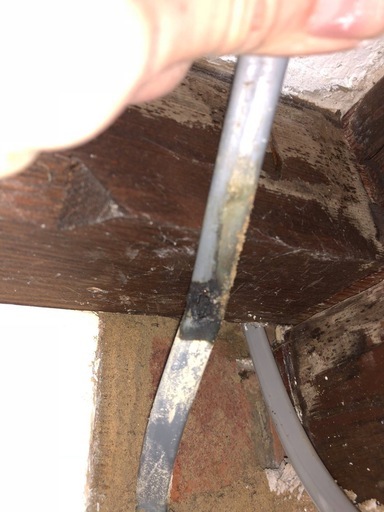 Since the damaged cable was hidden behind a timber beam, the outcome could have been much worse. The government’s statistics show that almost half of all accidental UK house fires are due to electrical problems. More than 20,000 fires a year are due to electrical faults and issues in the home – some 70 people are killed and 350,000 are seriously injured. A new report from the USA says that if all horticultural lighting in the country was converted to LED technology, annual energy consumption in the sector would be reduced by 40%, saving $240 million. 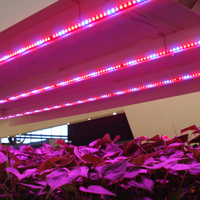 The USA’s horticultural growers that use multi-layered vertical systems have been the first to adopt LED lighting. Around two thirds of them use LEDs. However, only about 2% of the lighting in greenhouses where daylight is supplemented with artificial light and 4% of lighting for non-layered indoor growing currently uses LED technology. In Europe one of the largest flower growers tested LED lighting over four growth seasons to produce more than 300,000 campanula flowers. They achieved a saving of 53% in electricity compared with conventional high-pressure sodium (HPS) lights and a 43% saving compared with a new 1,000W HPS system. The plant quality and sale price were the same as for crops produced under new 1,000W HPS lamps. Q: What should I do if I think electrical equipment or installations are faulty? A: The first priority must be to keep everyone safe. Switch off if possible. Warn everyone about your concern. Contact a qualified electrician as soon as possible and don’t use the piece of equipment or installation until it has been checked. If you don’t own or control it try to find out who does – if you can’t find out, contact your local authority or the Health and Safety Executive (HSE). Q: When should I use a residual current device? A residual current device (RCD) rated at no more than 30mA will limit the energy of an electric shock and could save your life. It’s a good idea to use an RCD whenever possible but they are particularly important when you’re working in wet or damp locations or outdoors. RCDs should be regularly tested. Press the 'test' button and make sure the device trips. 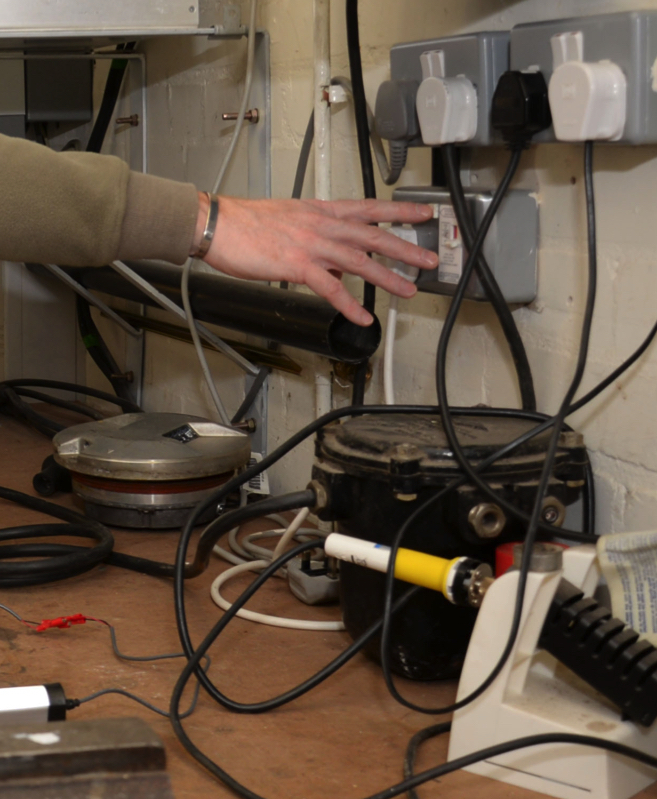 Q: How often should electrical equipment and installations be tested? Equipment and installations used in a harsh environment should be tested more frequently because they are more likely to become damaged or unsafe. They should be thoroughly tested by a competent person. Testing should be frequent enough to be confident that degradation between tests is unlikely to lead to risk of damage or injury. Make a decision about how often testing should take place and keep a record. For more information see the HSE website. Q: When should I tell the HSE about an electrical accident? • is away from work or can't undertake their full range of duties for more than seven days. Accidents should also be reported if plant or equipment is close to overhead power lines or there is an explosion or fire. 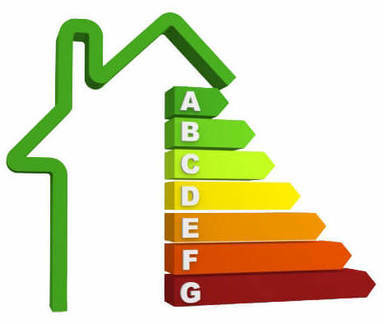 Did you know that the government is proposing a minimum energy efficiency rating of E for privately rented properties from April 2018? 1 April 2020. 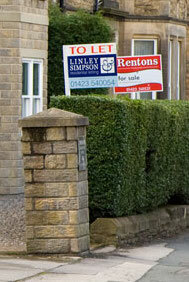 Landlords could face a civil fine of £4000 of they fail to meet the requirement. Landlords won’t be able to let properties that don’t meet the minimum requirements. Up to one in 10 rented properties could be affected, according to the government’s figures. One of the relatively easy steps for landlords to take will be to install energy efficient LED lighting. Smart home technology can also improve energy efficiency and a smart meter will help to identify where improvements can be made. Please get in touch if you’re interested in energy saving measures for your privately rented property. The Federation of Small Businesses (FSB) says that one in 10 of the UK’s small businesses already generates electricity on site. But what’s holding back the other 90%? The cost of solar panels has fallen by 80% in the last decade and the pay-back time for on-site solar power is now down to about seven years. With the cost of lithium batteries falling too, it’s becoming increasingly viable for smaller businesses to supply their own electricity. 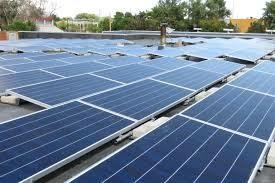 In the Netherlands it’s also popular for businesses to lease solar energy equipment, rather than buying it outright. This helps many businesses by ensuring that their energy costs for the future are predictable. You can find out more on the FSB website. Large corporate businesses are moving to renewable energy sources as part of their corporate social responsibility (CSR) programmes. Increasingly they expect the other businesses in their supply chain to do the same. While this could be a powerful incentive for small and medium-sized enterprises (SMEs) the cost of renewable energy equipment has been a challenge - until now. A new section of the Regulations (Part 8) aims to ensure that smart and energy efficient electrical installations are safe. It will include details of how points will be awarded for ‘energy efficiency performance levels’ and ‘efficiency measures’. Installers can then give a rating for the overall electrical installation efficiency class (EIEC) from 0 to 4. Customers will be able to ask for energy efficiency measures to be included in their electrical installations. This section will also look at electric vehicles, smart metering, lighting, loss of energy through cables and transformers and how efficiently generated power is converted into useful energy. The 18th edition of the Wiring Regulations is due to be published in July 2018 and to be implemented by 1 January 2019. In the consultation draft of the new Wiring Regulations surge protection against over-voltages (Clause 443) has been proposed to protect sensitive electrical equipment. The aim is to bring the Regulations in line with recently issued European standards. The proposal says protection should be provided where short-term overvoltage could ‘affect human life (such as health care facilities), public services, cultural heritage and commercial of industrial activity’, including hotels, banks, industries, commercial markets and farms, for example. For other situations a risk assessment should be performed to determine if surge protection is needed. 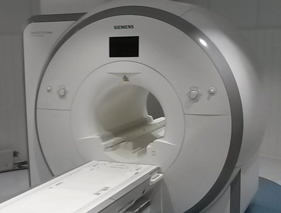 If a risk assessment isn’t completed, the installation should be provided with protection. There are some exceptions for single residential properties and other small premises.